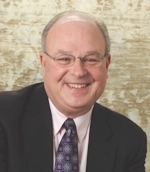 David G. Berg, M. Div. Chaplain David G. Berg serves as Supervisor of Clinical Pastoral Education (CPE), a nationally-accredited training program of the College of Pastoral Supervision and Psychotherapy (CPSP). CPE employs on-the-job training, case presentations, theological reflection, didactics by seasoned professionals, and individual and group supervision as a way of integrating scripture and doctrine with one’s day-to-day theory and practice of ministry. • Pastor at five Maryland churches, adding more than 900 members to his congregations. • Denominationally-appointed pastor/ developer who in 20 months spearheaded the birth of a self-supporting mission in Bowie, MD. • Director of spiritual care for 800 senior citizens in five faith-based “fellowship houses” in VA and MD; facilitated a $275,000 bequest to that organization. • Chaplain at Maryland’s third busiest hospital, also serving on numerous committees and hosting breakfasts for more than 100 clergy. • Pastoral consultant in community relations for real estate developers in five VA and MD counties, including among other programs the development and funding of the Midnight Basketball League program recognized by President George H. W. Bush as his 124th Point of Light. • Instructor teaching on-line courses in pastoral care and ministry with seniors with the Institute of Lutheran Theology. • Supervisor for more than 40 students / interns engaging in 400 hour programs of Clinical Pastoral Education. • Treasurer and member of the Leadership Team of the COMISS Network (the “United Nations” of pastoral care organizations and endorsing bodies); and member of the Governing Council, CPSP.